A celebration of everything edible from the West Midlands (WM) including a horticultural show so you can show off your amazing fruit and veg, a community hub so you can touch base with the amazing projects from the area AND OF COURSE delicious food to buy and eat from WM producers. The day is set to be a cracker, with so much to see and do it promises to entertain the whole family and fill them full of beautiful food! Ready to eat and buy food to fill your bellies and imagination! 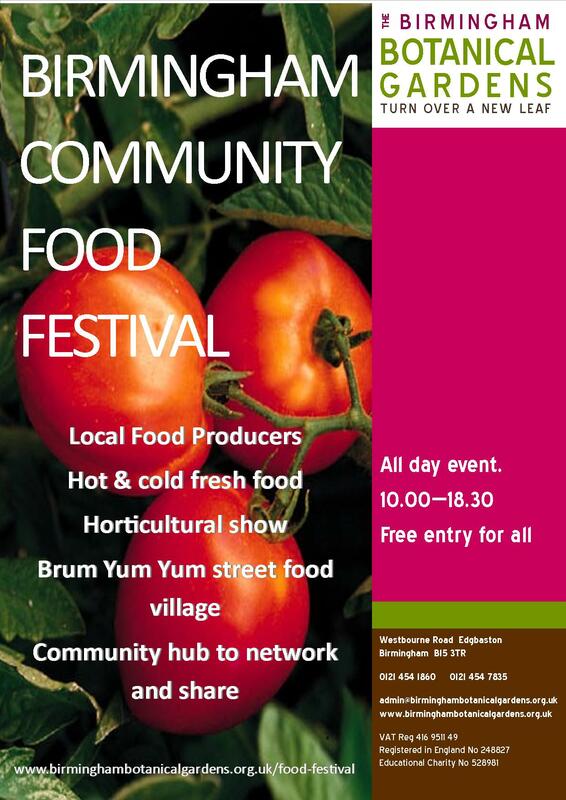 Urban Veg and many other community groups will be there to tell you what’s happening in Birmingham. Our Beekeeping course for September is sold out but DON’T PANIC, we will be holding another in Spring 2014, just in time for the new season! The hive at Urban Veg is doing well under the watchful eye of Noel the Beekeeper. Noel is acting as a mentor for Clare (Urban Veg Coordinator) who took the beginners course in January. The beginner course will arm you with a basic knowledge and confidence to get started but we do recommend joining the Birmingham and District Beekeepers Association as members will support you as you continue to learn just as Noel is helping Clare! Urban Veg is really excited to be working with Northfield Ecocentre, Martineau Gardens and Growing Birmingham to get the Urban Harvest project up and running again this year. 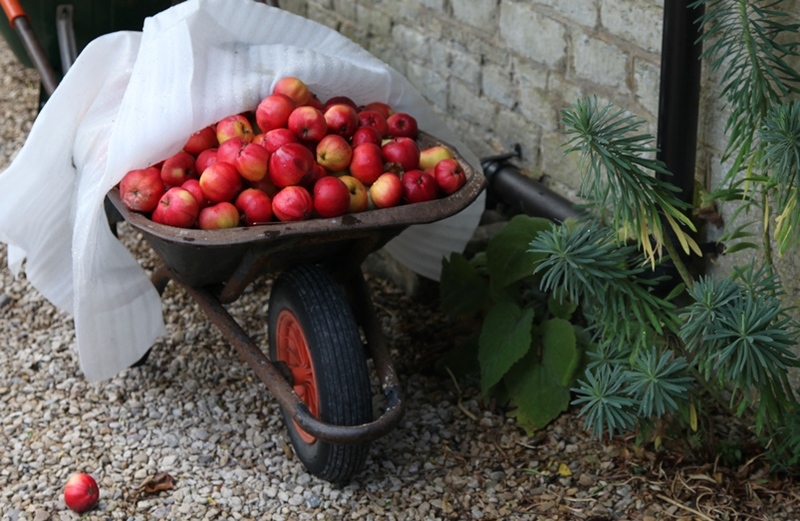 The aim is to help harvest fruit (mainly apples this year) from all over Birmingham and beyond which would normally go to waste. Choice, named varieties will be donated and sold back to the people of Birmingham. In future years there’s a hope to juice the apples but there’s a need to find a cheap juicing and pasteurising method (get in touch if you know!). To get the ball rolling (or should that be apple bobbing?) there’s a bit of crowd funding to be done and THEN at harvest time there will be equipment and a coordinator to make the harvest efficient, fun and productive. Any profits will be plunged back into the project for next year. If you want to HELP MAKE THIS HAPPEN please have a look at donating, following the project on twitter and join the facebook group. Signing up will mean you are kept informed of developments, calls for apple trees, picking days, events and lots more. There are rewards for donations including Urban Veg discounts and free places on our MAKE YOUR OWN APPLE JUICE AND CIDER course on the 27th October (Places still available even if you don’t donate, please see course list for details and cost). This is a great project which is truly collaborative and community-oriented. To make it happen we need lots of people to help so please, share links, and publish widely!